The Scholiastic book fair will be at Graebner from May 13 to Friday May 17, 2019. The fair will be open from the start of school to the end of the school day, with a special evening event on Wednesday May 15. Wednesday, May 15 the book fair will be open during the Art Show from 5-8pm. as well. We are currently looking for volunteers to help with the book fair. If you would like to sign up to help, please see the sign up sheet in the Media Center; or, you can email me at: colleen.noechel@uticak12.org. Thank you! graebner students learning coding with dash & dot! Many parents have asked me about using the Typing program Type to Learn at home with their children. Below you will find the directions for installing this program at home. Your child must know their school username and password to be able to log in. Currently, we use Type to Learn with 3rd through 6th grade students. Graebner is once again participating in the Cartridges for Kids program. 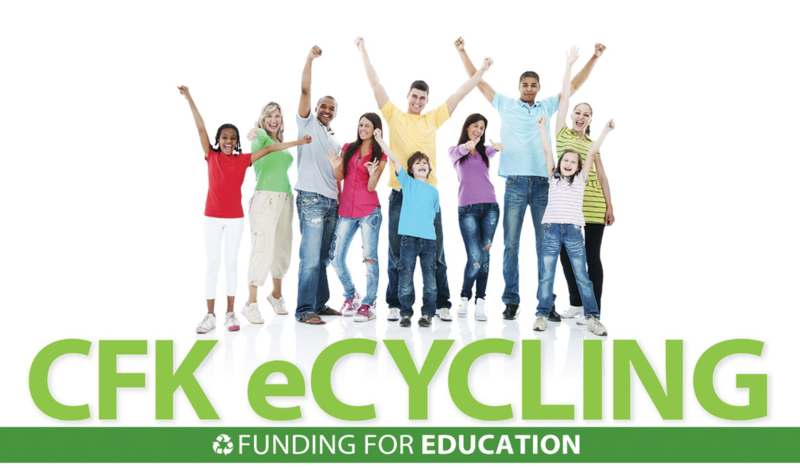 Cartridges for Kids is a free electronic recycling program that provides year-round funding opportunities for our school. You are welcome to drop off any of the approved items to the Graebner Media Center at any time. CFK collects cell phones, laptops, laser cartridges, MP3s & iPods, tablets/eReaders/notebooks, etc. You can view a complete list of accepted items below. If you are a business, I would be happy to make arrangements to pick up your cartridges if you wish.